The airfield was still rather wet today but we managed to fly around the worst bits. Unfortunately the launch-point got a bit muddy as did the yellow retrieve Landrover which soon looked brown as it is now sporting the wide wheels again. Plenty of flying done with yet more pilots taking to our new Ka6. The trick for smaller pilots, apparently, is to put all the cushions in and take out only the ones you don’t need. We trained Joe on the backup winch and Adrian F began training towards a Basic Instructor rating. Special congratulations to Phil who re-soloed with us today! Adrian F, strangely pleased with how mucky he’s made the Land Rover. 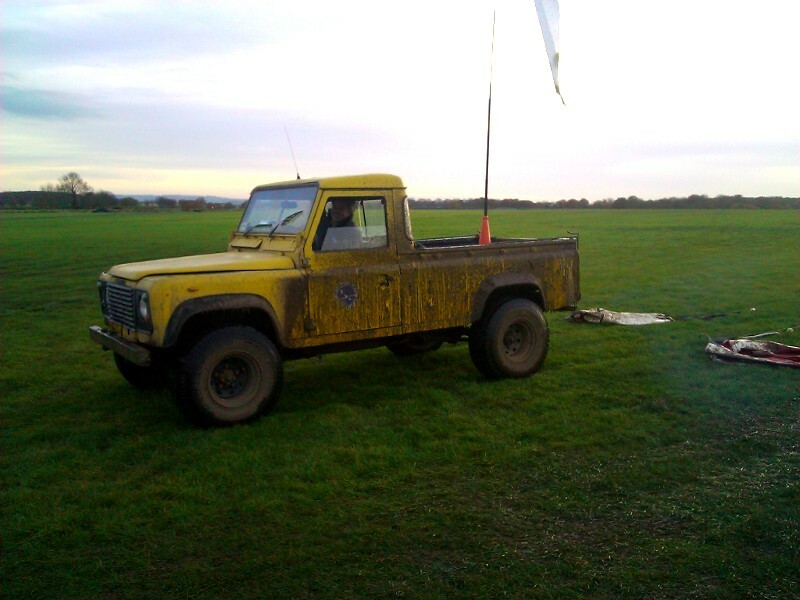 This entry was posted in Flying reports and tagged instructors, ka6, landrover, training by admin. Bookmark the permalink.